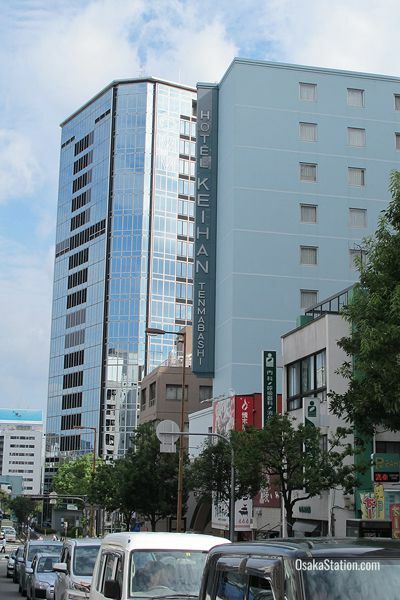 Hotel Keihan Tenmabashi is a well-appointed and efficiently run business hotel with friendly staff and excellent facilities. 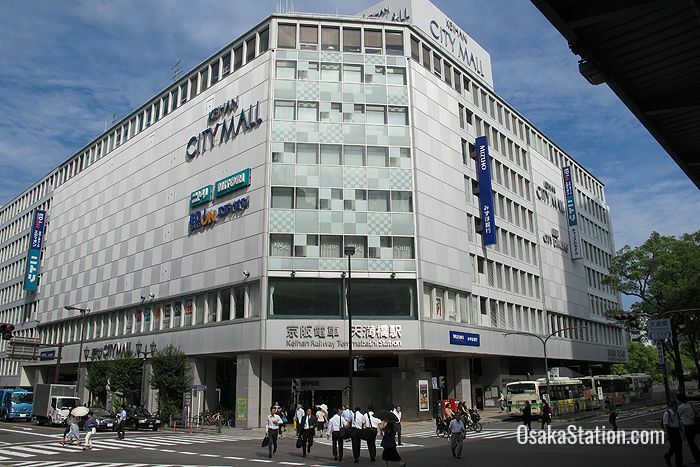 The location is very convenient for Osaka Castle, and there are train lines at the nearby Temmabashi Station that can take you directly to Umeda, Tennoji, and Kyoto. 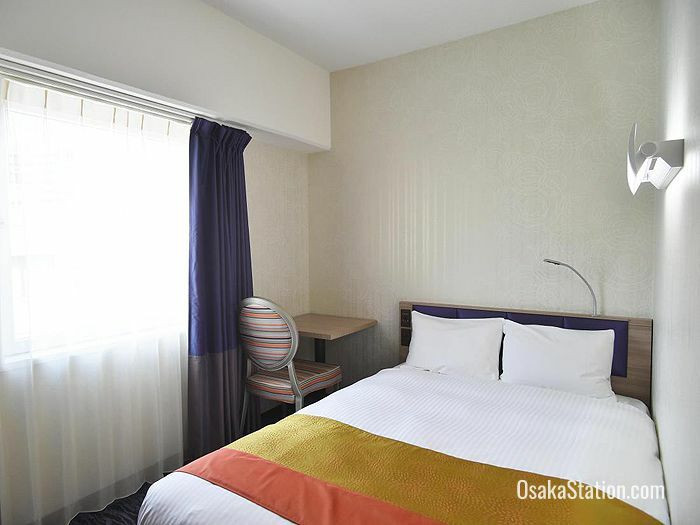 This hotel has single rooms, semi-double rooms, twin rooms, triple rooms, and it is also possible to book connected rooms. Non-smoking rooms are available. All rooms are fully air conditioned and come supplied with a refrigerator, a TV with video on demand, an electric kettle and tea set, nightwear, a mobile phone charger, and free Wi-Fi. The beds are all fitted with the reliable brand of Simmons “pocketed coil” mattresses to ensure a good night’s sleep. Bathrooms are supplied with the following amenities: face soap and body soap, shampoo, and conditioner, a toothbrush set, a razor with shaving cream, a hair brush, tissues, bath towels and face towels, and an ionic hair dryer. There are also special Ladies’ Rooms for the exclusive use of female guests which are all non-smoking. These have a brighter décor and come supplied with special amenities such as essential oils, massage cushions, a humidifier, an ionic facial steamer, and a Vidal Sasson 2-Way hair iron. A buffet breakfast is served daily from 7.00 – 10.00 and consists of a variety of Western and Japanese style dishes. Western style breakfast items include granola, sausage and scrambled eggs, yogurt, and croissants. Japanese style items include white rice, pickled vegetables, grilled salmon, miso (bean paste) soup, and traditional obanzai side dishes. There are also some typical Osaka items such as yakisoba fried noodles, and takoyaki octopus dumplings. Breakfast costs 1,300 yen (including tax) but there are some package deals that include breakfast with your room reservation. 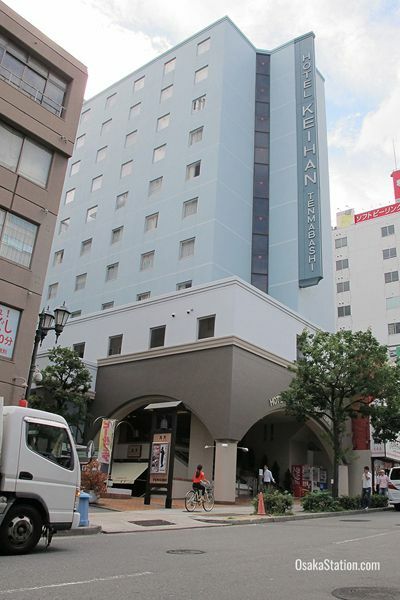 In the hotel basement there is also an izakaya style restaurant called Manten which specializes in seafood dishes. This is open on weekdays from 7.00 – 22.30 with last orders at 21.30, and until 21.30 on weekends and holidays with last orders at 20.30. 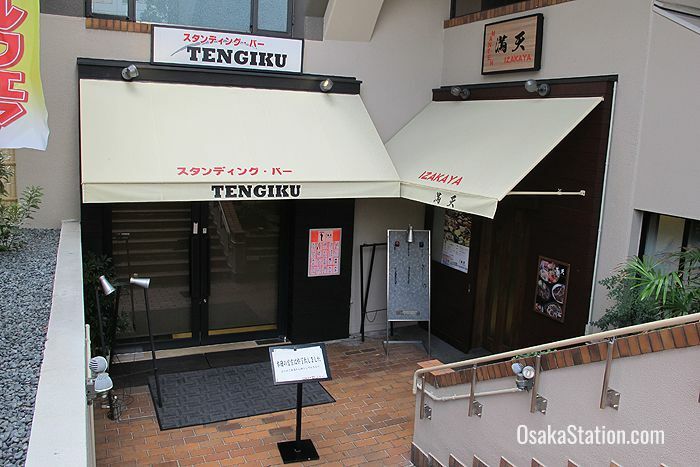 There is also a “standing bar” called Tengiku (so called because they have no seats) which has beers on tap, a good range of sake (or Japanese rice wine), and serves light meals. The bar is open only on weekdays from 17.00 – 22.30 with last orders at 21.30. 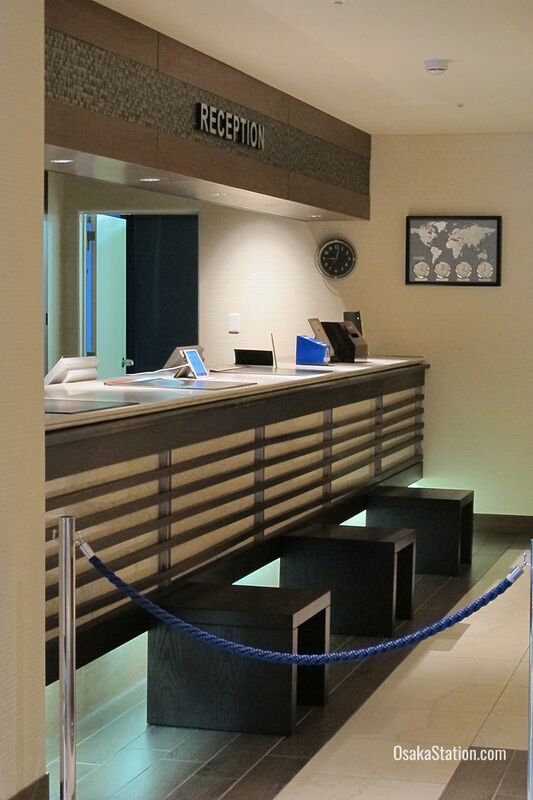 There is a 24 hour front desk where you can ask for luggage storage, parcel deliveries, or make photocopies. There is also a laundry service. Clothes handed in to the front desk by 10.00 will be ready by 16.00. 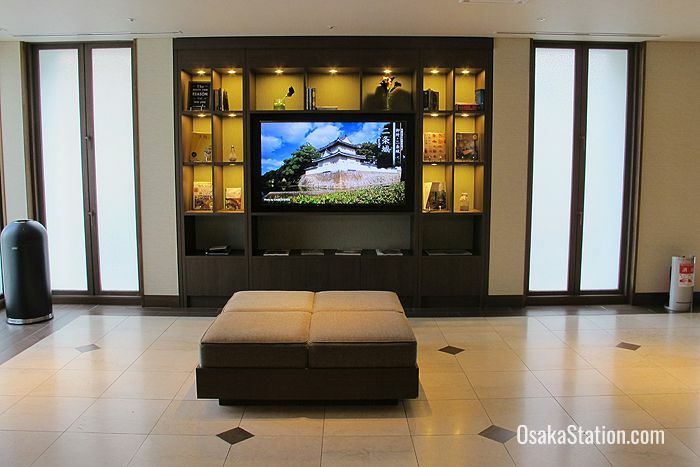 In room massages can be booked at the front desk and these cost 6,500 yen for 60 minutes. 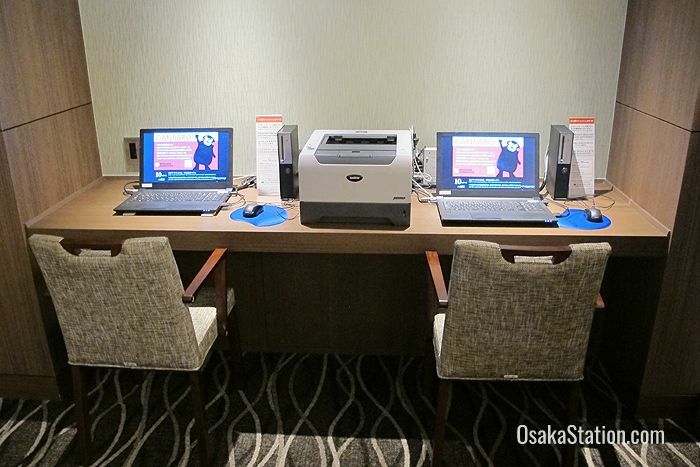 There are two computers and a printer in the front lobby for the guests to use freely. You can rent a computer from the front desk for 1000 yen a day. The following items can be borrowed for free (subject to availability): an air humidifier, and air purifier, an iron, a LAN cable, a desk lamp, and extra blankets. 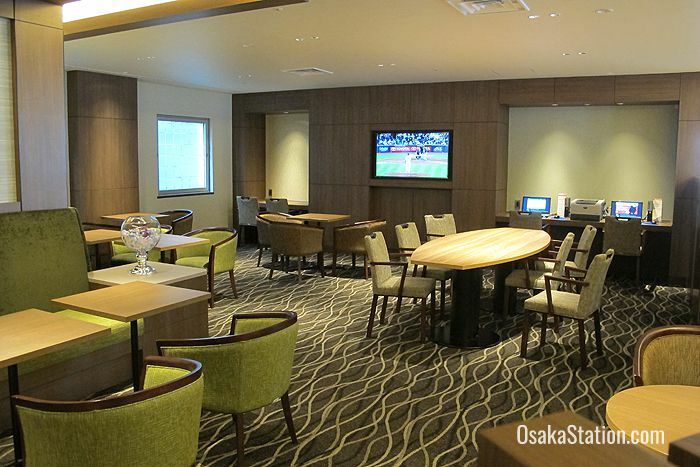 There are drinks vending machines with soft drinks and alcoholic beverages on every floor. There are also ice making machines on the 2nd, 3rd, 5th, 7th and 9th floors. There are two coin laundries on the 1st and 2nd floors. There is also a microwave oven on the 2nd floor. 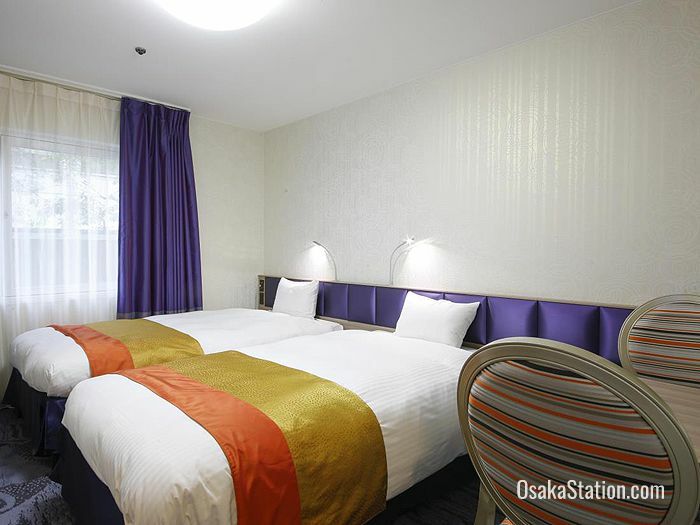 Hotel Keihan Tenmabashi is a one minute walk from Temmabashi Station which gives you access to the Keihan Main Line, and the Tanimachi Subway Line.